The jitters are gone (from my consciousness at least). I have no idea why. I’m at the airport as I write this. I was at the airport almost two weeks ago, traveling back east to celebrate Mom’s 90th birthday. The day I left to return home, Mom had to go to the hospital. She isn’t doing well at all. Dave, my younger brother, told me that the docs said, when the dialysis machine stops (as I suppose it does when it can no longer remove toxins), Mom will succumb. It did stop yesterday afternoon and Dave called me to say that the docs didn’t think Mom would last the night. It is now almost 11AM the next day and Mom is still among the living. My mother is one tough cookie. Dave was at the hospital last night talking with Mom’s heart doc, who also happened to treat my Dad. He related a story about my father which may clarify the provenance of my tendency to compartmentalize. Dad had just had a heart attack at a restaurant. The first question he asked the doctor was, “Which ventricle was in fibrillation, the left or right?” That is a perfect example of avoidance of personal feelings about mortality. I feel like I am flying into the sunset, even though I am traveling east. It is so weird to think of saying goodbye to Mom forever. 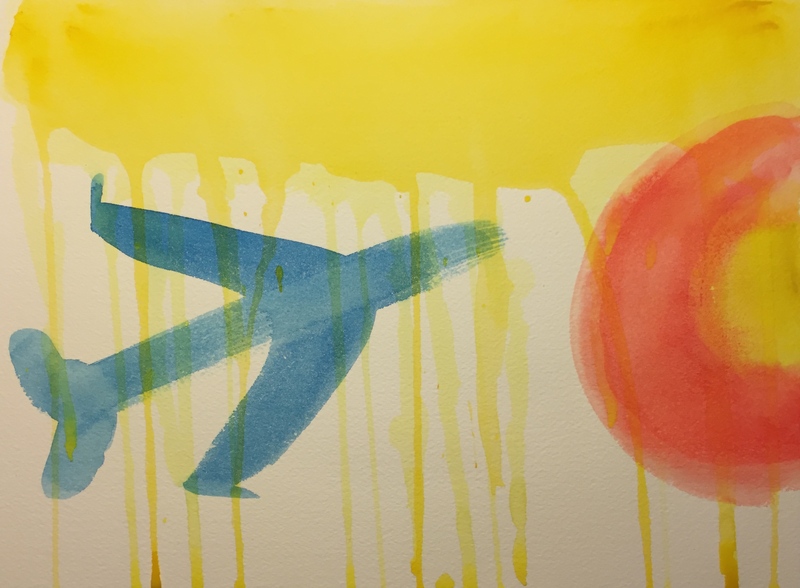 This entry was posted in Personal Stories and tagged death, death of a parent, dialysis, emotion, end of life, family dynamics, feelings, hospital, travel back east, visual expression, watercolor. Bookmark the permalink.